CuTe Modest Maternity Swimwear ~ 4 the Girl at Heart! + Giveaway! ~ FreSh, FuN, Swimwear for Women & Girls @ Heart! Mix & Match the different Styles of Swim Tops(including Rash guards made just for Women) & an array of Swim Bottoms (including 3 different lengths of Board Shorts -- just for Women) to give yourself exactly the right fit/coverage that you want & Need!! ~ Girls4Sport offers just that! Girls4Sport has Tankinis long enough to Cover & Protect (Fabric blocks at least 98% of UVA/UVB rays) that CuTe growing Belly! I LoVe these CuTe Swim Skirts! I really like these Women's Rash guards/Surf Wear -- Girls4Sport really knows how to make these "FiT" your Feminine figure to a "T"! 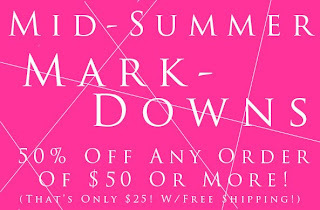 **USE Coupon Code: M4M-15 HERE (Girls4Sport) & Receive a discount of 15% OFF your Entire Order.... Even on Clearance items! The Swimwear Giveaway is for your choice of 2 "Grab Bags" again! Your Choice of 2 Grab Bags! I will e-mail the Winner on Aug.1st -- Winner will have 48hrs. to reply back to me. 2.) Post on Girls4Sport fb Wall and/or Your Personal fb Wall: "Thank You!" 4 the Giveaways on Modest4me.blogspot.com (this can be done daily!) -- leave me 2 comments if you do both! Modest Clothing ~ on Modest4Me ~ Mid-SuMMeR Clearance! Modest Clothing Sale ends: July 29th! PLUS FREE SHIPPING -- as always! Yes! This means, you order over $50 in product & only pay Half the Pr$ce!! **Hurry before your size & color are gone! Girls 4 Sport ~ Giveaway! ~ Modest Swimwear! Girls4Sport is offering 2 "Grab Bags" Of your Choice 4 FREE! ~Yes! This means their will be 2 Winners for this Modest Swimwear ~ Sports Tankini Giveaway! -- Way CuTe Board Shorts -- made just 4 a Woman's body! The Board Shorts come in different lengths: Short, Long & Extra Long... Don't forget to grab some matching Tankini's! 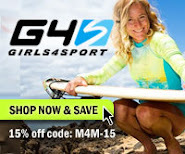 **Use Coupon Code M4M-15 for 15% OFF Your Entire Purchase at Girls4Sport! For 1 of the 2 "Grab Bag's" of Your Choice for FREE!! ~ 2 WINNERS will be picked at Random...more comments the better your chances! *Don't forget to leave me your e-mail address...or you can e-mail it to me. 1.) "Like" Modest4Me on fb & "Like" Girls4Sport on fb & then Leave me a comment telling me you did this. -- Already done this?! Go to Girls4Sport fb page & Type on their Wall exactly this: "Thank You" 4 the Giveaway's on Modest4Me.blogspot.com! -- Leave me a comment telling me what you did. 2.) For an Extra Entry you can "Like" this post (below) **Everyday! -- Leave me a comment telling me what you did, even if you do it everyday. This Giveaway Ends: July 24th (Sat.) at 12am(midnight) MST. I will contact the Winners by e-mail on Sun. July 25th! The winners will have 48 hrs. to reply back to me. ** DON'T FORGET TO ENTER FOR THE $75 Modest Swimwear GIVEAWAY, IT ENDS ON THE 25TH! Go HERE for more info. You can read my Disclaimer & Review Policy HERE. I was ExCiTeD to be contacted by Girls4Sport! ~Forward Thinking Fashion with Action! Designed by Women 4 Women their Swimwear is ReFreShinG & FuN! Girls4Sport gets your Feminine & Unique Curves covered in every imaginable way so you are ready for Active FuN in the SuN! I personally LoVe how you can mix 'n match the type of coverage you do (or don't) want in their many different Styles of Swim/Sport Tops & Bottoms with Fashion-Forward Prints & Colors that are Gorgeous & Soft -- "Us" Women/Girls like to wear Soft things! ~ I got the Sports Tank Top & the Hipster Bottoms to match! I was a little nervous about the bottoms, because I have a bubble bumb & wasn't sure if it would cover my back side (crack) high enough -- I was very pleased with them when I tried them on.... Perfectly fit over the "bubble bumb"! 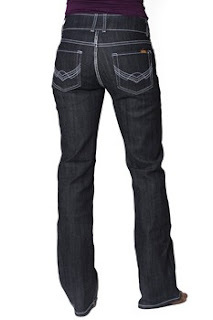 They even have a little draw string on the inside to make sure they fit around your hips! (I liked that too!) :o) The Sports Tank fits snug & is long enough to cover my mid section & then some! -- I'm a little over 5' 7"! It truly fits like a sports bra, (it holds things in place) which is great because then You DO NOT have to worry about having "stuff" fall/peak out when running/playing volleyball/boarding/surfing etc. Girls4Sport has Women's Rash Guards with a Shelf Bra that is Tailored/Designed very Specifically for the Female Form with Matching Bottoms! -- So You can Look & Feel your Best Surfing,Wake boarding, etc. Check out their Board Shorts for Women! Girls4Sport has offered one Modest4Me reader a $75 Gift Certificate/Giveaway to Choose a Top & Bottom of Your Choice!! A BiG "Thank You" 2 all who Entered! 2.) "Like" Girls4Sport on fb & "Like" Modest4Me on fb leave me a comment below telling me that you did Both! 6.) Blog about my Giveaway -- with a link back to Here & Girls4Sport -- Leave me a comment w/link directly to it. 7.) Share & or "Like" (below) this Post/Giveaway on Your fb Page (this can be done once daily) & leave me another comment telling me every time you do. Something FuN & ExCiTinG Coming Your Way!!!! ~ Stay Tuned... it's coming soon, YoU will NOT want to miss This! ~ I Will give you a Clue under the "Comments" Section. 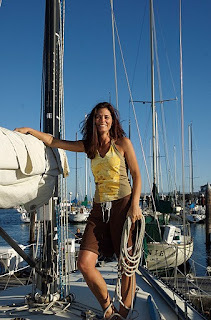 "Like" Modest4me on fb for details, don't do fb... that's ok, "follow me" on my blog! Thanks & I'm SuPeR ExCiTeD 4 ThiS!